❄️Visbiome is sent cold packed with an additional charge. VetRxDirect recommends Next Business Day Shipping to an address with a controlled environment where a person can take immediate possession of the package and refrigerate if you live in an area experiencing ambient outdoor temperatures above 77° F.
Visbiome is a high potency probiotic formula designed for dogs. Made with 8 concentrated strains of live bacteria, each dose of Visbiome contains 112.5 billion bacteria to help establish and maintain the balance of natural flora in the gastrointestinal tract. Probiotics help promote overall gut health, support the protective layers of the bowel, and aid with digestion. Visbiome may reduce loose stools caused by stress or diet changes and help manage dogs with inflammatory bowel disease. Visbiome Vet is a Non-GMO and Gluten Free formula. Use as recommended by your veterinarian. Administer capsules by mouth. Capsules may be opened and powder given by mouth. We're unable to ship Visbiome Vet Probiotic for Dogs 40 Capsules to Alaska or Hawaii. Visbiome Unflavored is a human product available for large dogs. Each sachet contains 450 billion live probiotic bacteria, equivalent to 4 capsules of Visbiome Vet. This product may be recommended for larger dogs over 60 lbs or animals requiring higher doses of Visbiome Vet. It is also ideal for dogs taking Visbiome for prolonged periods of time and may offer a cost-effective option. Visbiome Unflavored should be used under the supervision of a veterinarian. Available in a 30ct box. Q: Is Visbiome Vet stored cold? A: Yes. Visbiome Vet is shipped and stored to prevent elevated temperatures which have a negative effect on the live bacterial strains. Q: What is this sensor included in the packaging? A: All orders of Visbiome Vet are shipped with this sensor to guarantee your order did not experience elevated temperatures during shipping. While Visbiome Vet is stable at room temperatures for up to a week without affecting potency, it's best to ship the product in a cooler which is how you can expect to receive the package from VetRxDirect. Contact our pharmacy right away if your order arrives with a tripped sensor. Q: How should I store Visbiome Vet? A: In the refrigerator at 39-46°F. Q: Which live stains are in Visbiome Vet? A: The 112.5 billion colony forming units per capsule include: Lactobacillus acidophilus DSM24735™, lactobacillus plantarum DSM24730™, lactobacillus paracasei DSM24733™, lactobacillus delbrueckii subsp. bulgaricus* DSM24734™, streptococcus thermophilus DSM24731™, bifidobacterium longum± DSM24736™, bifidobacterium breve DSM24732™, and bifidobacterium infantis± DSM24737™. Q: Are there any drug interactions? A: Probiotics may be inactivated by some types of antibiotics. 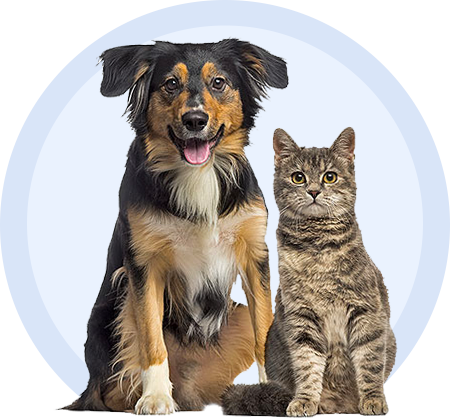 Talk with your pet's veterinarian about giving Visbiome Vet with antibiotics. Q: Are there any side effects reported? A: Bloating is the most common. You may need to reduce daily consumption and allow for an adjustment period with your pet. Talk with your pet's veterinarian if bloating occurs. Q: How do I find out more information about Visbiome Vet for Dogs?